Liberal junior forward Eduardo Moreno is the Mead Lumber Athlete of the Week. In two games, Moreno scored eight goals including five in the 6-0 win Monday over Wichita East. 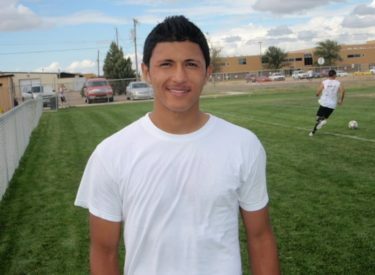 Moreno was a first team all state player last year for the 17-4 Redskins. Liberal faces Wichita Southeast Thursday at 6 p.m. in the semifinals of the Wichita South Titan Classic. Moreno’s interview aired Thursday morning during the Sportsguys.